President Trump’s 5G press conference from the Roosevelt room (video below) in the White House on Friday spotlighted the nation’s tower climbers as they surrounded him with support during his and FCC Commissioner Ajit Pai’s presentation. It was a proud industry moment as President Trump complimented infrastructure builders, as many millions of viewers witnessed those accolades. The event and the National Association of Tower Erectors’ representation was covered by Wireless Estimator on Friday. 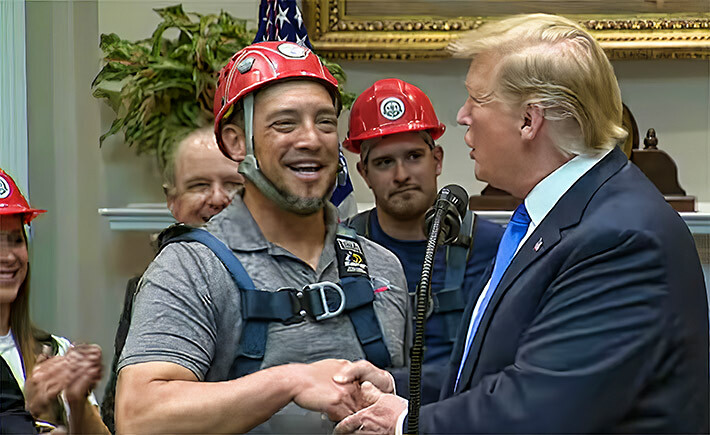 Although 18-plus-million viewers saw the important role that tower techs have in building out 5G, many additional millions saw workers in back of President Trump during the past three days as he fielded a question from a reporter about sanctuary cities. All major national network and cable stations covered the briefing regarding 5G, either in prime time news, or cable networks breaking in during the afternoon White House presentation, providing an estimated 18-plus- million viewers, based upon average network viewership. However, following the 5G presentation, President Trump responded to reporters’ questions, none of them enquiring about 5G, but the nation’s border crisis. 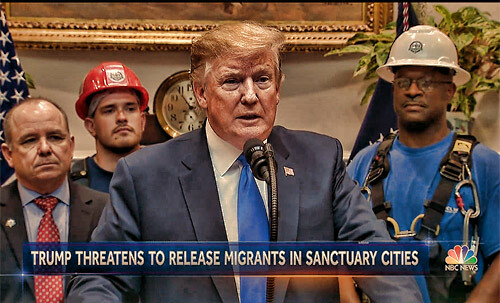 The President’s incendiary comments about possibly placing some immigrants in sanctuary cities touched off a firestorm of media coverage, all of them replaying non-stop video throughout the weekend of his Friday comments with tower techs and NATE’s Chairman Jimmy Miller standing behind him listening to the questions and comments. On Saturday, FCC Chairman Ajit Pai made media rounds discussing the need for 5G and most outlets began their interviews with President Trump discussing network needs, with the same White House pool coverage video with Miller and tower technicians behind him. JACK RAY: I’ve been up 800-foot. KENNETH MASSENGALE: Up to 1,000 feet. Following the presentation, the FCC outlined two major announcements to ensure U.S. leadership in the next generation of wireless connectivity, or 5G, and continue the Commission’s efforts to close the digital divide in the following statement. Chairman Pai also announced his intent to create the Rural Digital Opportunity Fund, which will inject $20.4 billion into high-speed broadband networks in rural America over the next decade. It will provide funding through a reverse auction to service providers that will deploy infrastructure that will provide up to gigabit-speed broadband in the parts of the country most in need of connectivity. The Rural Digital Opportunity Fund represents the FCC’s single biggest step yet to close the digital divide and will connect up to four million rural homes and small businesses to high-speed broadband networks. These networks will bring economic opportunity to rural America and help support future 5G technologies. “I applaud President Trump’s strong commitment to maintaining U.S. leadership in 5G. 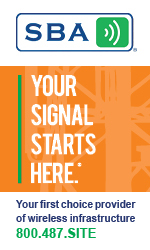 Today’s announcements will keep the U.S. on track to lead the world in 5G deployment and reap the benefits of next generation wireless networks, unleashing a wave of economic growth and innovation,” said Wireless Infrastructure President and CEO Jonathan Adelstein on Friday. President Trump quelled rumors during Friday’s presentation that the federal government might privatize 5G networks, and Adelstein lauded those comments. “WIA also welcomes President Trump and Chairman Pai’s support for a private sector, market-driven approach to 5G buildout. 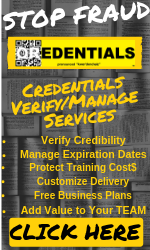 Over the past three decades and the previous four iterations of wireless generations, this approach has proven the most effective way to drive investment in wireless networks, and 5G is no exception,” said Adelstein.